Photography is a splendid profession and I often remind myself that I do for a living what other people do on vacation. That said, it is an odd line of work and there is no career path, no proper path. For as long as I can remember I have always made pictures. Jay Maisel, the New York photographer and my mentor,talks about the photograph that brings one to photography. I remember seeing a picture in a magazine by Alfred Eisenstaedt, Children at a Puppet Show. It’s a close-up of faces as they watch the puppets in the Tuileries in Paris, and at the moment the dragon is slain each face reveals a different expression: shock, fear, joy, amazement, fascination. One child covers his ears. This photograph convinced me I wanted to capture unique pieces of time, if I could. From that moment on, I thought of myself as a photographer. I never studied photography in school, but I was fortunate to learn from other gifted photographers like Jay Maisel and from visits to galleries and the cinema. As far as education, I learned photography at the cinema. Watching camera angles, camera movements, close-ups, wide-angle views and the various decisions of the director and the cinematographer. When I pick up a camera, it is as if I am making my own film, only silently and in single frames. Why do you work in Black & White? Color gives us reality. A certain reality. Sometimes an image is about color. The Sleeping Cars tells the story of automobiles rusting under the canopy of an old forest. I felt the earthen and sienna tones were important in telling the story of the heap of armor in the woods. Betty Boop Gone Awry, the figure stenciled onto the cathedral wall in Paris, is all about her color: red. B&W gives us something different. In removing one kind of reality, it gives us another: a purity, a sense of history, drama and gravity. And in the archival silver print, it gives permanence. What are my photographs about? I’ve always felt that the subject must be interesting and compelling, otherwise why would we look? I am interested in place and love to travel whenever I have the opportunity. Photographers get excited about seeing from a unique point of view, or seeing something others do not. I would hope my work finds a humanity embedded in the image, even when the subject is not a person or a city. For a photographer who has photographed people over the years, my personal work moves in a direction where there are no people. How often do you travel for photography? My studio work affords me the opportunity to travel the country for portrait assignments. In addition, I am a big believer in the self-assignment, taking oneself on location to a faraway place, immersing oneself in the culture and opening oneself to new visions. We all know the stimulation of a new place. Sometimes a fresh eye can work wonders. Certainly it’s inspirational. 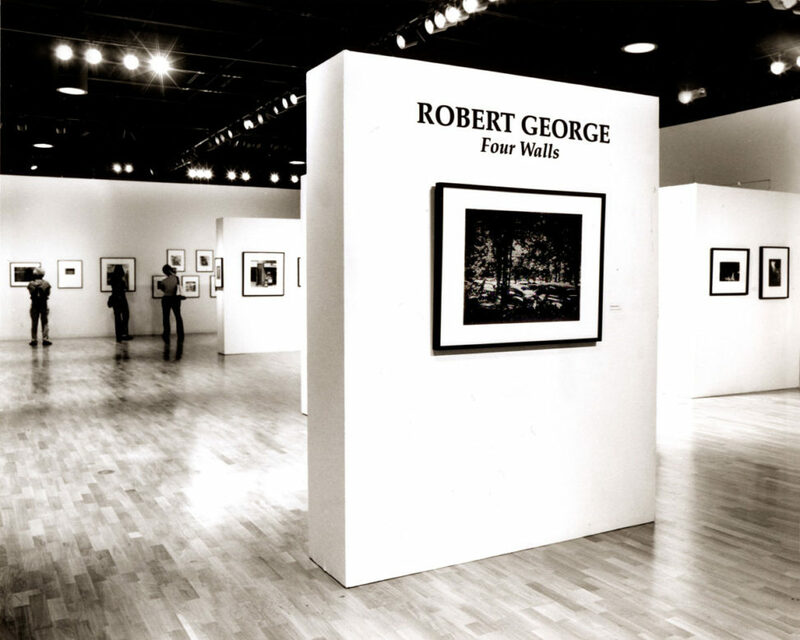 What is the meaning of the title of your exhibition Four Walls? Well in the most straightforward sense, it refers to walls of the gallery. But it is a Hollywood term as well, referring to the walls of the screening room and the process of four-walling, or previewing a film. Beyond that, there are the physical limits determined by the viewfinder and the lens. These are my boundaries. Otherwise, imagination has no limits, so within four walls, anything can happen.